Hotel Monalisa provide you foremost hospitality and guide you in every adventure you enjoy in chitwan. You will get our facilities from staying in our comfortable rooms to all the exciting activities. It is the best way to view the life of wild animals. Hotel Monalisa takes you an elephant ride to view the wild life of the area far as possible in their habitat. Chitwan National Park is one example where elephant rides are a positive force for conservation. The park and its buffer zone protects some of the last remaining Bengal tigers and one horn rhinoceroses, as well as leopards. Elephant safaris are one of the most popular – and safe – ways to discover these exceptionally rare species in Chitwan, and revenue from these safaris contributes greatly to the upkeep of the park and surrounding area, and the protection of its wildlife. If someone wants to explore the real thrills of Jungle, can hike with our Nature guides. These walks provide you with the ideal situation of viewing the animals and know the different type and size of tree (wood) as well as plants closely. Our specialists will help you to spot and identify the different kinds of animals and botanical names of wood. It is the best way to view the life of birds with our bird specialist within the wet land at the jungle and twenty thousand lakes. Chitwan National Park which is one of the best habitats of migrant birds as well as other birds. There are around 600 different types of birds in Park. If experiencing the wild plains of Nepal and bird watching interests you, we provide you with the ideal situation of viewing the birds very close. Bird Watching is always best on foot. Our specialists will help you spot to identify the different varieties of birds, both local and migratory, that are found in Nepal. 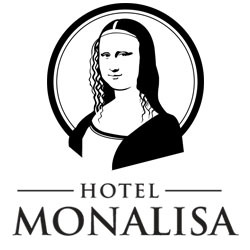 Hotel Monalisa offers canoe rides to view the riverside scenery in a way like never before. Get a chance to spot different types of birds, crocodiles, and other aquatic creatures. With a canoe ride you will slowly pass the shores of the rivers which are full with amazing crocodiles and beautiful birds. During the trip you are accompanied by a guide who will tell you about the animals. Off course you don’t have to peddle yourself as a boatman joins the ride by this you can enjoy the calm and peaceful surrounding. There are many uncovered country side around the areas where you can explore the real life style of the local people. The Tharus, the indigenous local people, are also the feature of Chitwan so the village tour always recommended. Our professional guides will take you the village tour where you can explore the local ethnic community of Tharu and other people. We invite all our guests to see the traditional Tharu stick dance; a powerful tribal dance with clashing sticks, loud drums and chanting of Tharu community. If you wish to spend some time to contribute some things to our local community or want to involve in any social works, Hotel Monalisa is more than happy to make you connect with those organization or community where you can work as a volunteer. Please contact our Hotel Manager or with your provided guide for the help purpose. Jeep Safari is another adventure trip to explore the deep forest of Chitwan national park, it will take you to the depth of the jungle and travel across to areas that can reach in a day or on elephant safari. Where you can spot and photograph the one horned rhinoceros, Royal Bengal Tiger, Leopard, Sloth bear, various species of deer, monkey and birds. You are provided a guide who will give information about the jungle and the animals seen in the way.